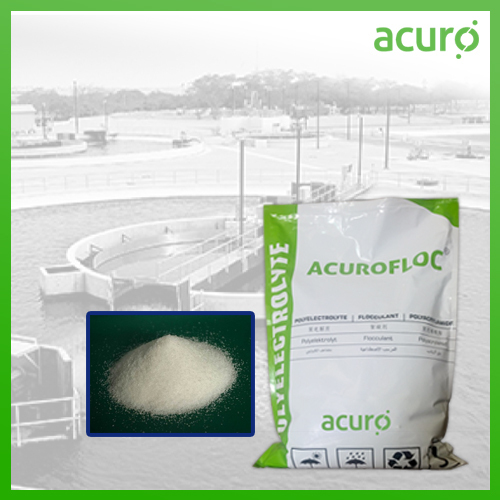 ACURO bring to you a range of Polyelectrolytes for treatment of water from various processes. We offers top quality products, services and solution to all water related needs of various industries. Our range of polyelectrolyte is comprehensive including Polyelectrolyte Anionic, which is lower in viscosity and dissolves faster. It is used in mining industries, paper industries, municipal sewage plants and water treatment plants. It is highly regarded for its cleaning property and has earned us a huge client base. We are specialized in handling customized orders owing to our experience and knowledge and provide with deliveries on time. Anionic Polyelectrolyte has got a wide range of applications right from water purification, oil recovery, color removal, paper making, mineral processing, etc. It has anionic emulsions and dry polyacrylamides which can be used wherever liquid/solids separation is needed in industrial effluent treatment applications.